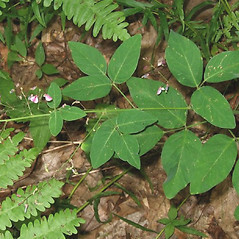 The Cherokee chewed the roots of perplexed tick-trefoil to treat sore gums. 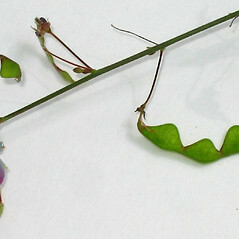 segments of fruit semicircular and gradually curved on the lower margin, flowers 8-11 mm long (vs. D. perlexum, with the segments of fruit +/- triangular and abruptly curved on the lower margin, flowers mostly 6-8 mm long). 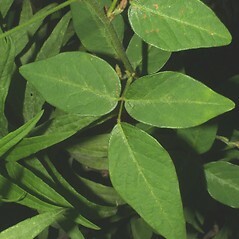 central leaflet of leaf narrow-lanceolate to narrow-elliptic, mostly 4-10 times as long as wide and mostly 5-15 mm wide (vs. central leaflet of leaf oblong to broad-ovate, mostly 1.5-4 times as long as wide, and 15-30 mm wide). 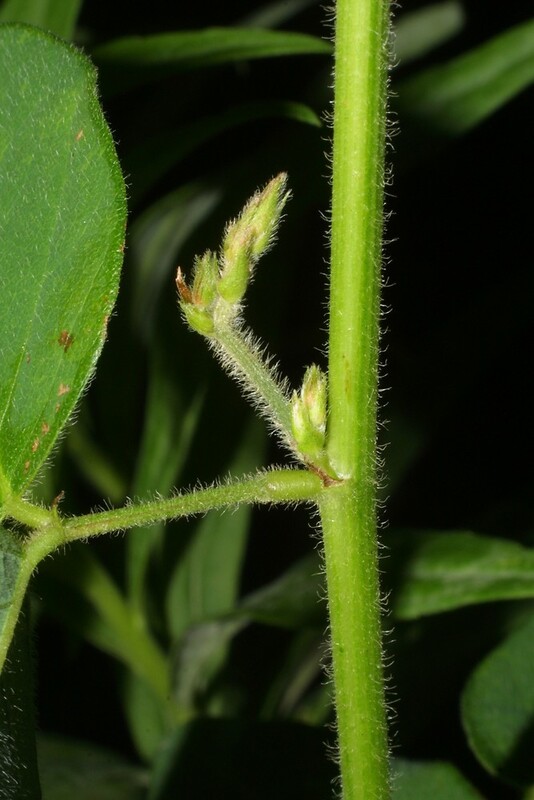 perplexed tick-trefoil. 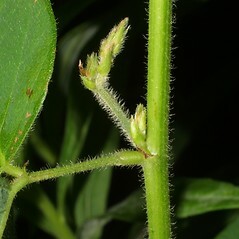 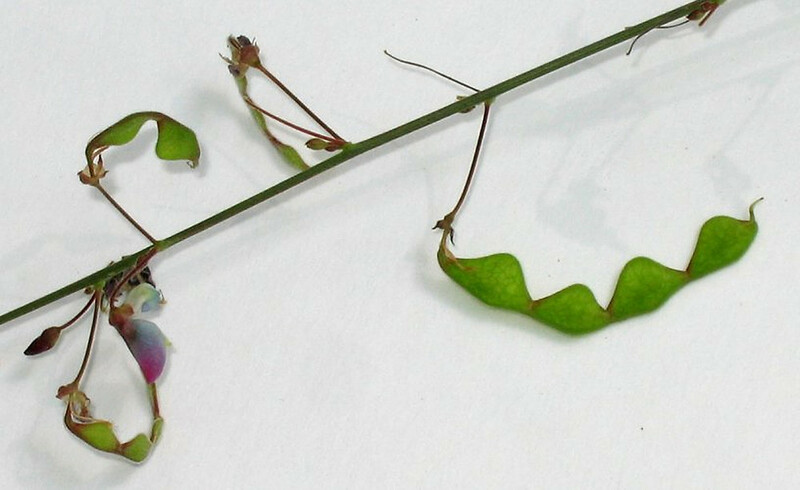 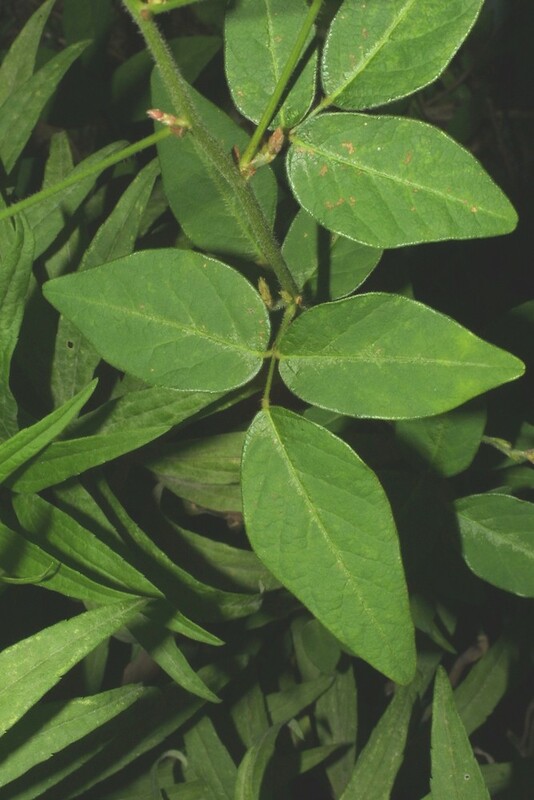 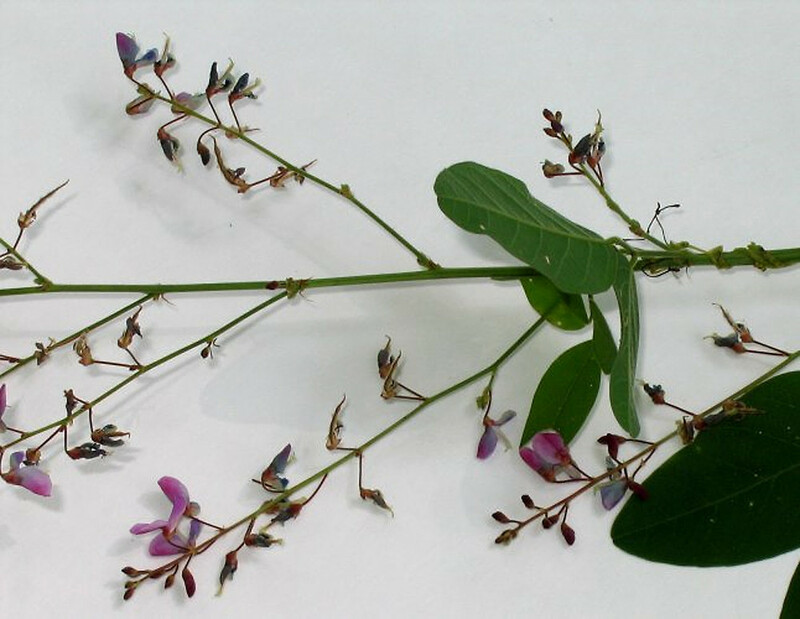 Desmodium dillenii Darl. 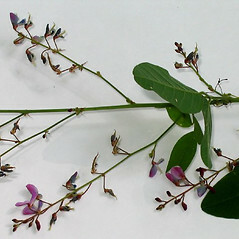 ; Meibomia dillenii (Darl.) 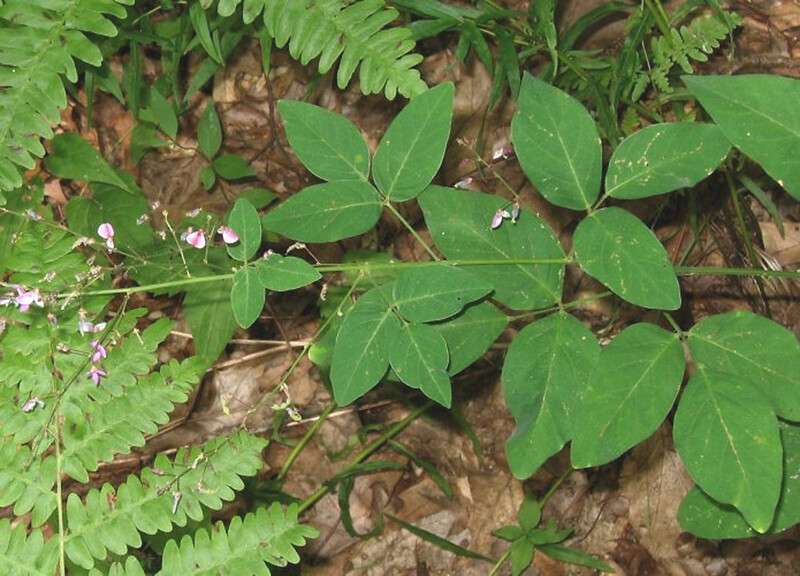 Kuntze • CT, MA, ME, NH, RI, VT. Dry-mesic forests and woodlands, forest borders.